Start Your Day the Baraquda Breakfast in Bed Way with our delicious breakfast set. 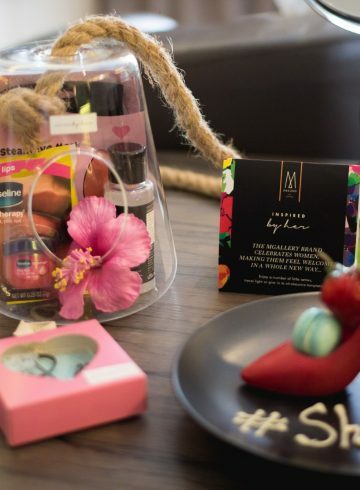 At Hotel Baraquda, we know that it’s those little pieces of pleasure which make your vacation truly complete so that’s why we’ve introduced our new Breakfast in Bed for you! Can you imagine anything more perfect than waking up from a dreamy night’s sleep and tucking into a sumptuous freshly prepared breakfast in the comfort of your own room? No? 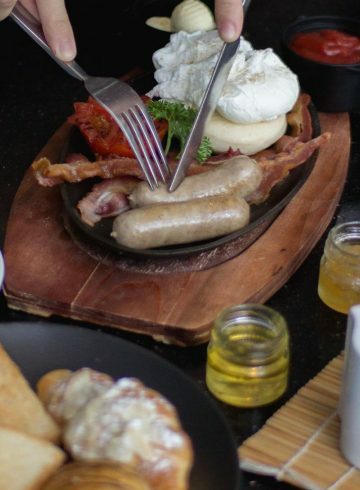 Then why not kick start your morning and brighten up the day ahead with Chef’s own selection of eggs prepared to your liking, crispy bacon, sausages, a baker’s basket and fresh fruit skewers and juices, all for the equally dreamy price of only THB 399 net! 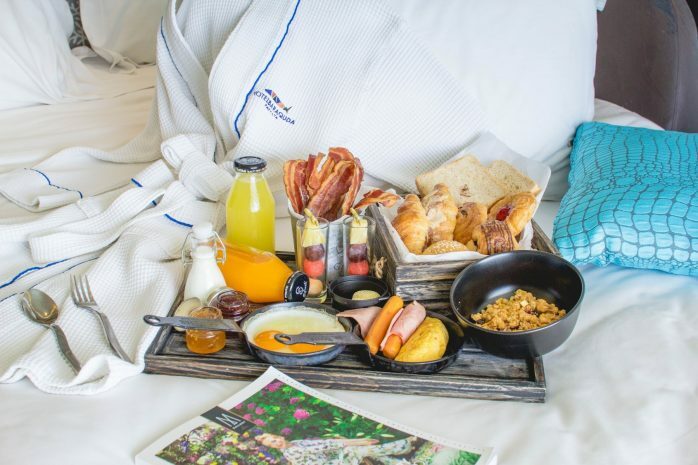 So start your day the Hotel Baraquda way with a Breakfast in Bed made just for you!